President Barack Obama chose a historic platform for his address to the country Sunday, speaking for only the third time to the American people directly from the Oval Office in the White House. U.S. President Barack Obama chose a historic platform for Sunday's address on the fight against the Islamic State of Iraq and Syria (ISIS) and homegrown extremism, speaking for only the third time to the American people directly from the Oval Office in the White House. Oval Office speeches have been used by presidents since the 1940s to caution, comfort and even console the electorate during events such as the Cuban missile crisis, the 9/11 attacks on the U.S. and even the resignation by President Richard Nixon on Aug. 8, 1974. 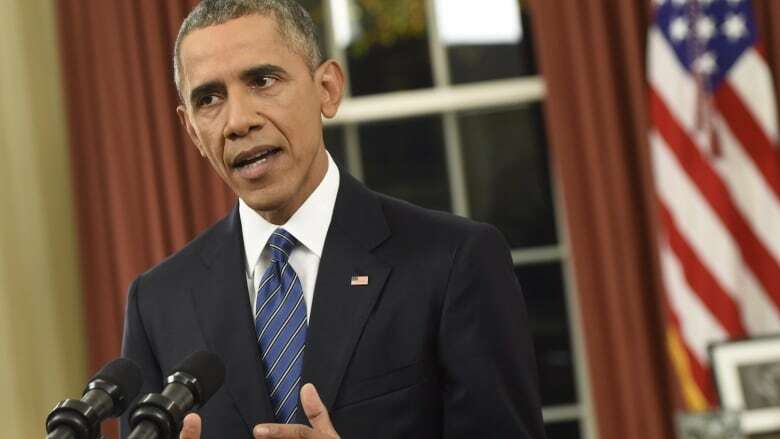 On Sunday, Obama said in the rare live TV speech from the Oval Office: "So far we have no evidence that they [the couple behind the deadly shootings in San Bernardino, Calif.] were directed by a terrorist organization overseas. But it is clear the two of them had gone down the dark path of radicalization, embracing a perverted interpretation of Islam that calls for war against America and the West." The president's choice of speaking venue raised people's expectations — and may have let them down. "Obama looked firmly into the camera and gave America a not-so-peppy pep talk," the website Politico.com commented Sunday night. "Afterwards, America knows just about as much what he's doing and what's going on as it did before he scrambled Sunday's prime time schedule with the ultimate presidential prop." The speech was unusual, too, in that he spoke standing at a lectern beside his desk, instead of sitting calmly behind it. 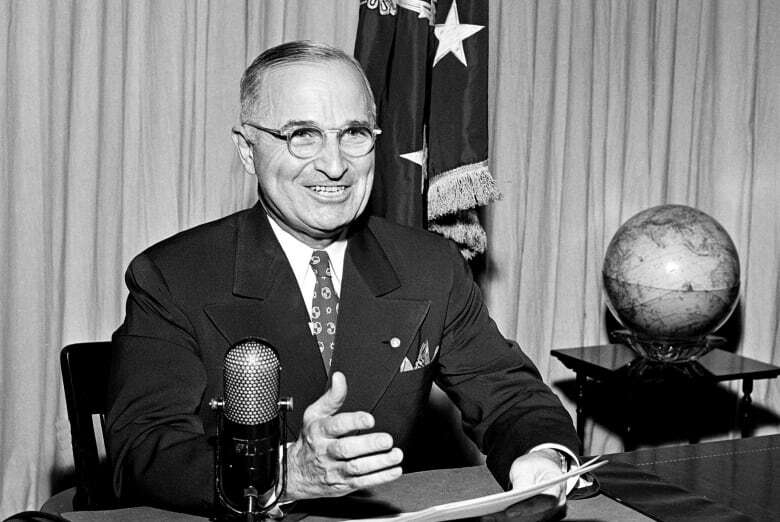 The first televised speech from the Oval Office was made by Truman, on Oct. 5, 1947. He used it to urge Americans to conserve food to help post-war Europeans survive a threatened winter famine that year, Truman biographer David McCullough wrote. 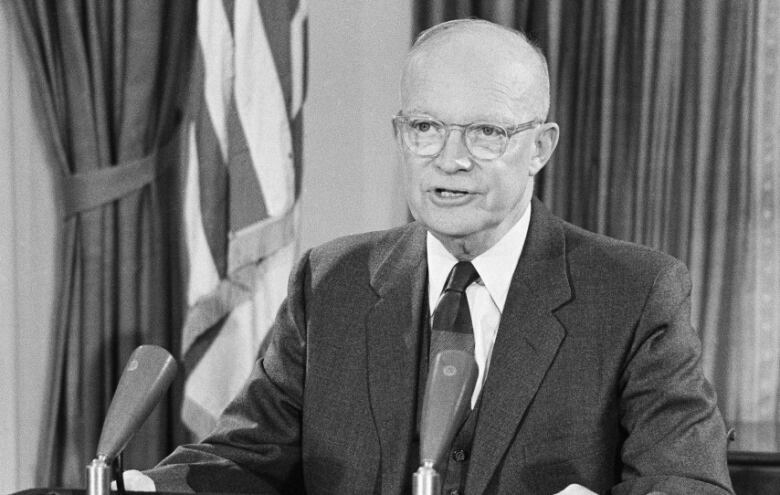 Eisenhower spoke from the Oval Office on Sept. 24, 1957, telling the U.S. why he had ordered troops to desegregate schools in Little Rock, Ark., allowing black and white children to be educated together. And in a final speech from the office on Jan. 17, 1961, the former five-star general warned Americans about the rise of the "the military-industrial complex," which he said would take money from more constructive uses. "Every gun that is made, every warship launched, every rocket fired, signifies in the final sense, a theft," NPR has quoted him as saying. "The cost of one modern, heavy bomber is this: a modern, brick school in more than 30 cities." Kennedy spoke twice from the Oval Office, most memorably on Oct. 22, 1962, during the Cuban missile crisis. He described the buildup of Soviet missiles in Cuba and warned the Soviet Union that any attack on the West would provoke "a full retaliatory response" against the then U.S.S.R. The world held its breath until Soviet ships steaming toward Cuba turned back. Subsequent presidents used Oval Office speeches more and more, peaking with Ronald Reagan, who spoke 16 times on matters ranging from the space shuttle Challenger explosion to the Iran-Contra affair. Bill Clinton used the office 13 times to speak to Americans on subjects as varied as the economy, a military strike on Iraq and his own farewell in 2001. At 8:30 p.m. ET on Sept. 11, 2001, Bush addressed Americans from the Oval Office, calling the attacks on New York and Washington "despicable acts of terror." "The pictures of airplanes flying into buildings, fires burning, huge structures collapsing have filled us with disbelief, terrible sadness, and a quiet, unyielding anger," he said. It was the first of his six Oval Office addresses, most of them about Iraq and the war on terror. 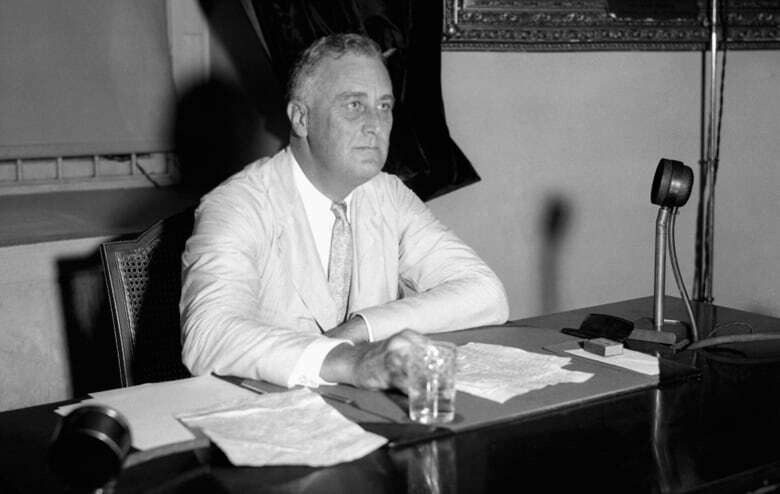 Roosevelt's 27 "fireside chats," which were evening radio broadcasts to the country between 1933 and 1944, were among the earliest attempts by U.S. presidents to speak directly to the electorate. They were usually made from the diplomatic reception room of the White House, however, rather than the Oval Office.